In 1408 St. Vincent Ferrer once suddenly interrupted his sermon to declare that there was among his hearers a young Franciscan who would be one day a greater preacher than himself, and would be set before him in honor by the Church. This unknown friar was Bernardine. Of noble birth, he had spent his youth in works of mercy, and had then entered religion. Owing to a defective utterance, his success as a preacher at first seemed doubtful, but, by the prayers of Our Lady, this obstacle was miraculously removed, and Bernardine began an apostolate which lasted thirty-eight years. By his burning words and by the power of the Holy Name of Jesus, which he displayed on a tablet at the end of his sermons, he obtained miraculous conversions, and reformed the greater part of Italy. But this success had to be exalted by the cross. The Saint was denounced as a heretic and his devotion as idolatrous. After many trials he lived to see his innocence proved, and a lasting memorial of his work established in a church. The Feast of the Holy Name commemorates at once his sufferings and his triumph. He died on Ascension Eve, 1444, while his brethren were chanting the antiphon, "Father, I have manifested Thy Name to men." St. Bernardine, when a youth, undertook the charge of a holy old woman, a relation of his, who had been left destitute. 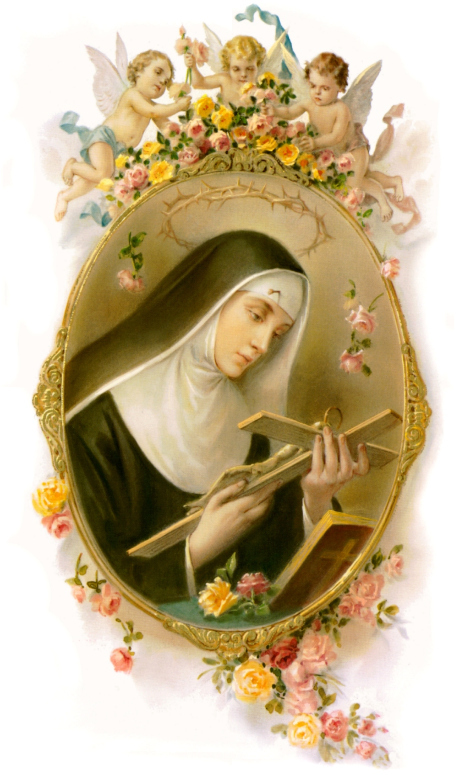 She was blind and bedridden, and during her long illness could only utter the Holy Name. The Saint watched over her till she died, and thus learned the devotion of his life. Reflection--Let us learn from the life of St. Bernardine the power of the Holy Name in life and death.